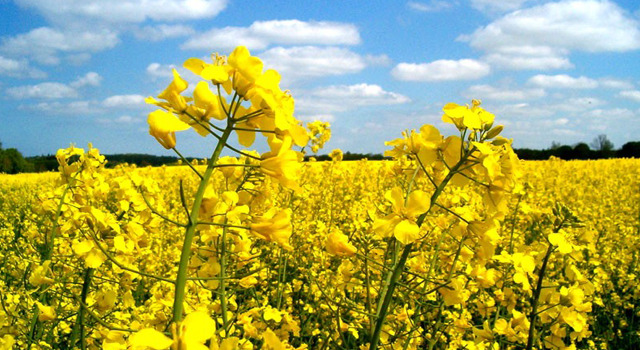 The rapeseed harvest is under way Ukraine as farmers started harvesting spring crops after July 20, Ukragroconsult reports. A total 614,000 hectares has been harvested by July 26, 2017 (78% of the planned harvest area of 785,000 ha), with a crop of 1,617 KMT and a yield of 2.63 MT/ha, according to Ukragroconsult. Noteworthy, the official figure for harvest acreage was lowered from 821,200 ha to 785,000 ha in the course of the harvest. A similar situation was seen a year ago. Read alsoUkraine harvests 10 mln tonnes of grain as of July 18The harvest pace and yields are higher than last year, by 66.8% and 0.8%, respectively. So, a year ago, rapeseed was harvested from 368,000 ha out of its harvest area of 456,000 ha, with a crop of 962 KMT and a yield of 2.61 MT/ha.